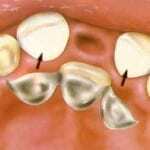 This type of bridge requires very little drilling of the teeth and is literally stuck to the teeth. 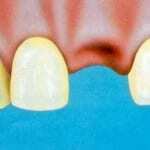 The ability to do this type of bridge, though, is governed by the amount of space left between your teeth when they close together and, therefore, a careful assessment is required before any decision can be made. 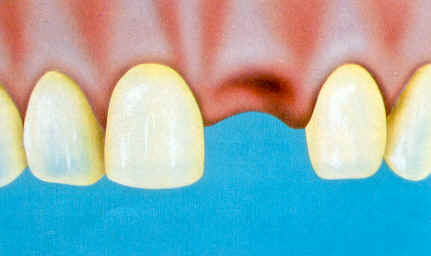 This is the same type of bridge as shown below. 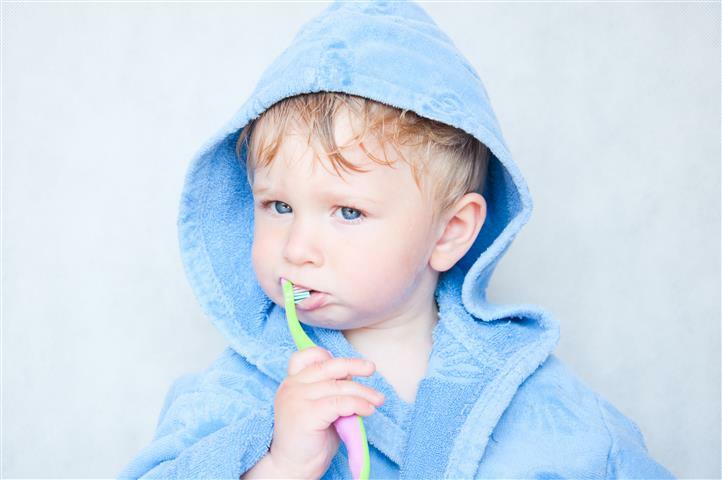 The porcelain tooth is carried by a thin metal wing and is securely bonded to the back of the adjacent teeth. The space before the bridge. The bridge being bonded into place. 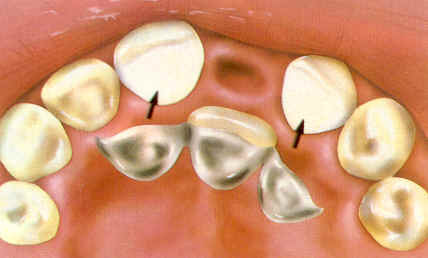 The restored smile with no metal visible.